“Reckless Love” reached No. 1 for Christian airplay last week, with more than 10 million listeners, according to Nielsen Music. It’s also back at the top of Billboard’s hot Christian songs chart, thanks to a boost from none other than Justin Bieber, who recently posted a clip of himself singing the chorus on Instagram before performing the song as part of an impromptu worship set during the Coachella music festival in California. Earlier this year, Israel Houghton offered his gospel cover. 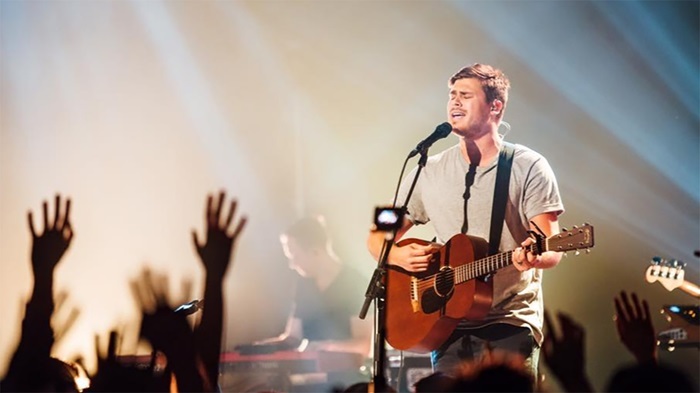 But when worship songs make it big, they also get subjected to a degree of theological scrutiny, and some have questioned whether the message of the hit song misrepresents the nature of God’s love. About a decade ago, Christians were debating John Mark McMillan’s “How He Loves”over the line “heaven meets earth like a sloppy wet kiss.” More recently, concerns over the “wrath of God,” as sung in the hymn “In Christ Alone,” led certain churches to alter the verse or stop singing the song altogether. The song unofficially debuted last year from Bethel Music before becoming the lead single off Asbury’s album of the same name, which released in January. Assemblies of God minister and theologian Andrew Gabriel pushed back against the distinction, saying that “you can’t separate God from his attributes.” In a blog postaddressing “Reckless Love,” he stated that “God loves us with clear and thoughtful intention,” not careless abandon. Even the parable of the lost sheep does not necessarily convey irresponsibility since scholars say shepherds routinely watched each other’s flocks if one went away, he said.